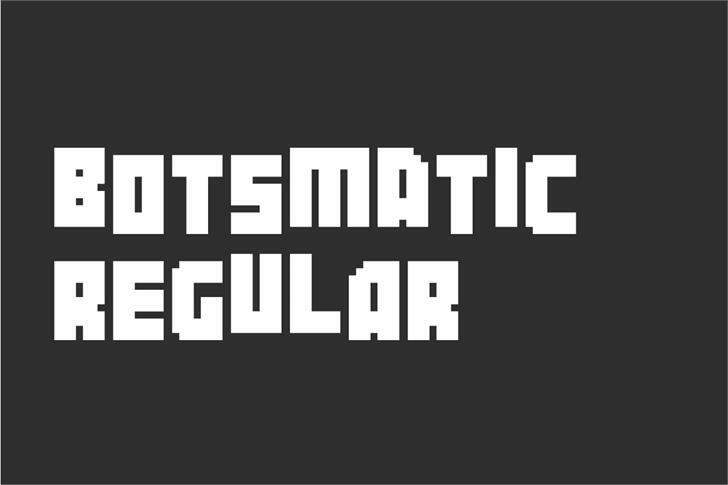 Botsmatic is a square pixel font with a jaunty, fun vibe. 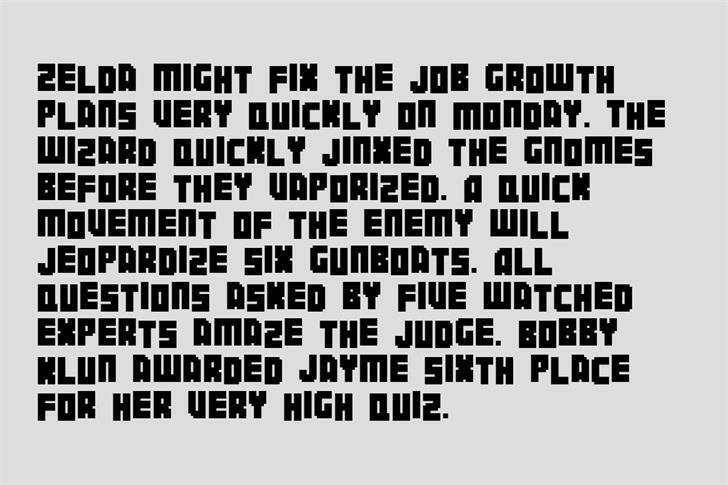 The font is an inspired mix of great pixel fonts like Blocktopia, 04b_19, Acton One, and Aka-AcidGR-4B. 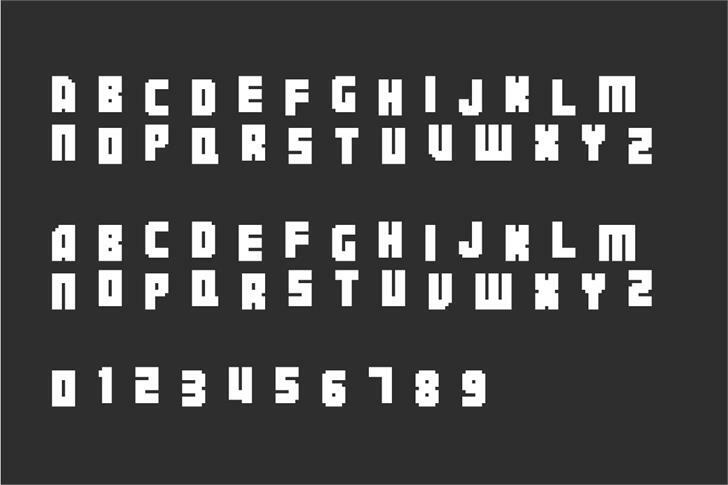 We've added our own style by rounding corners, randomizing the baseline, and mirroring glyphs for the lowercase letter set. 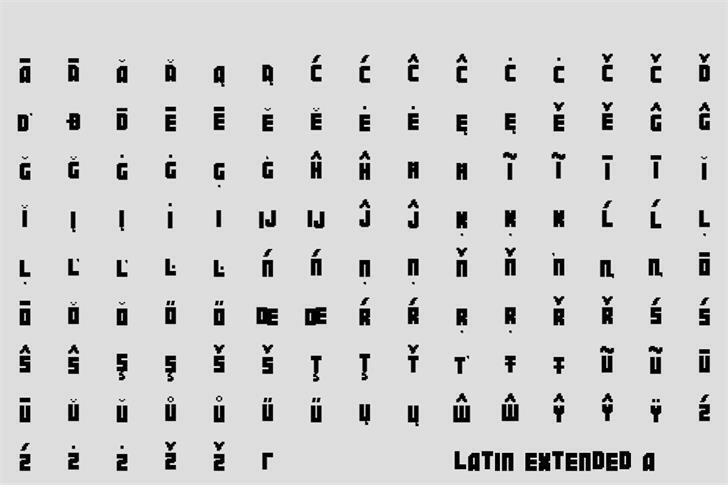 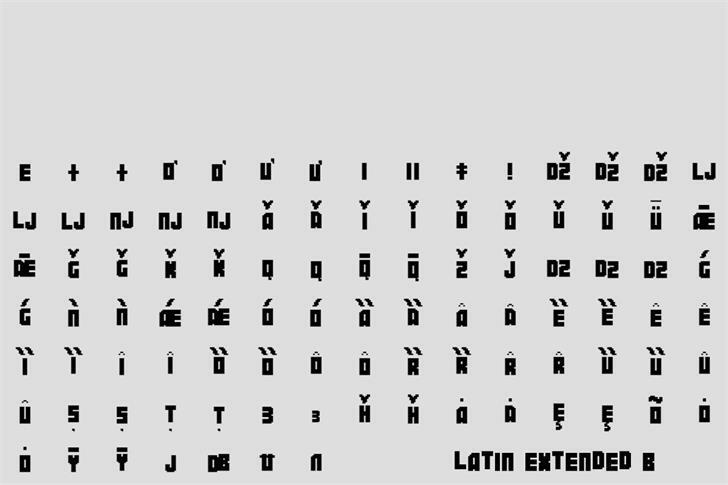 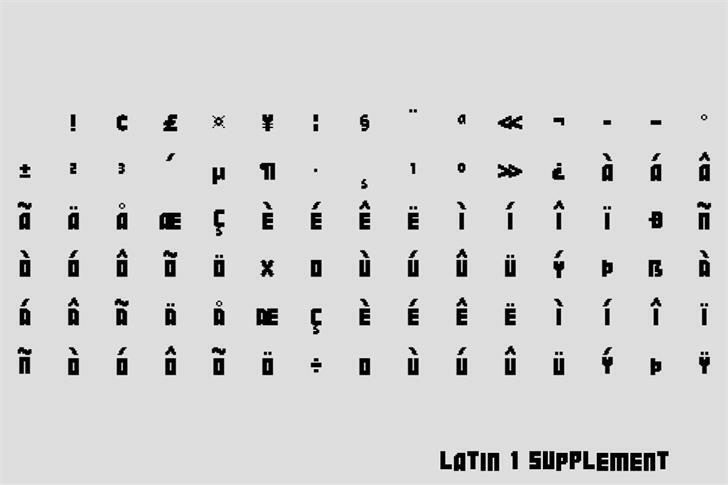 We've also developed a massive array of punctuation, special characters, accented characters, and European characters - almost 800 glyphs total! 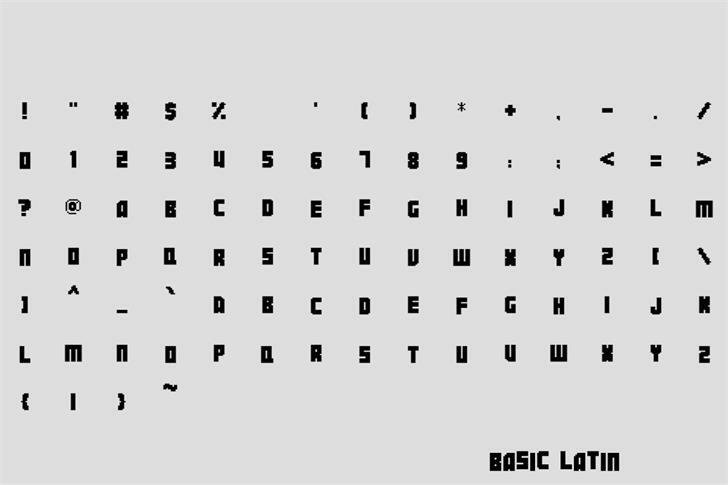 Botsmatic® Trademark of Out Of Step Font Company.